She is host of the syndicated radio show, The Rational Basis of Happiness®. In 2018 this show began its 21st year and is heard on many stations coast to coast. She has interviewed many prominent authors and has appeared as a guest on radio and television. Radio show calls for personal advice are welcome at 877-Dr-Kenner (877-375-3663). She and Dr. Edwin Locke are co-authors of The Selfish Path to Romance: How to Love with Passion and Reason. 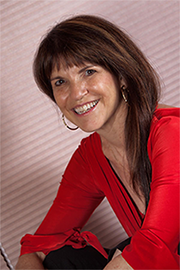 Dr. Kenner has taught psychology courses as an adjunct instructor at The University of Rhode Island and Rhode Island College. She has extensive experience in the fields of child-parent relationships, marital relationships, family problems, healthy goal-setting, self-improvement, stress management, time management and more. She has served as expert witness for many dysfunctional family and child abuse related cases. Her specialty is exploring how to apply the rational, pro-happiness philosophy of Objectivism to mental health issues. The Providence District of the U.S. Postal Service honored her work and radio show. She has been married for 45 years and has two grown children. She and Dr. Edwin A. Locke published The Selfish Path to Romance® in early 2011.